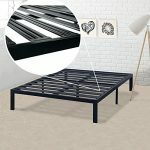 TRAVEL IN STYLE: Whether you're a frequent flyer on business trips or take frequent vacations, you don't need to forgo fashion and elegance to achieve superior functionality and durability. With Aerolite's cabin luggage with rollers by your side, you'll look sophisticated and chic no matter how rushed you feel or tired you are. 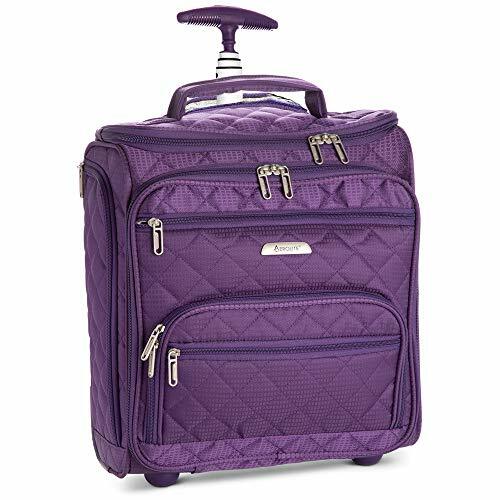 Brandishing a stunning, vibrant purple with a soft, quilted shell, this designer luggage with wheels will stand out in a crowd...and on the baggage claim carousel. PREMIUM, HIGH QUALITY CRAFTSMANSHIP: At Aerolite, we pride ourselves in providing well-made travel gear, using top-notch materials and design. The polyester material of our carry-on duffel bags is tear-resistant, water-resistant and sewn together using reinforced stitching, so it's built to handle extensive use and wear-and-tear. 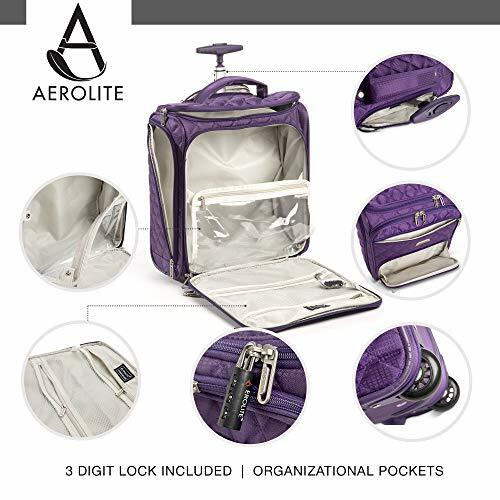 Accessorized with a 3-digit number lock and an ID card slot in case your carry-on roller suitcase gets lost, Aerolite has your item protected every step of the way. 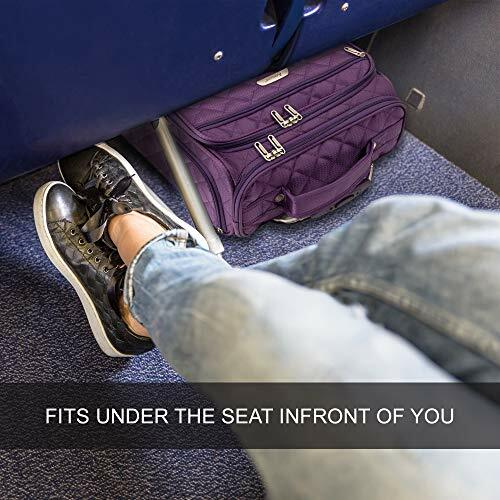 IDEAL STORAGE SPACE: Transporting as many necessities as possible with as little inconvenience as possible is the name of the game for any flight. Every inch of our personal item hand luggage is designed to organize and carry your clothing, toiletries and documents. The interior features multiple pockets and compartments including 2 detachable, clear, plastic toiletry bags. The exterior has easily-accessible zipper pockets for phone, passport, ID, and travel documents you need readily available. 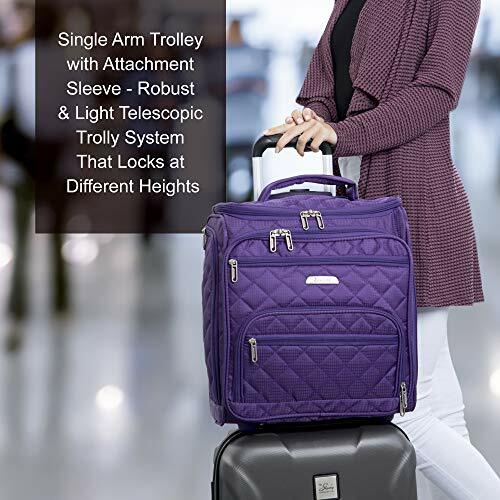 COMES WITH A 2 YEAR WARRANTY: We are so sure of the outstanding quality, ergonomics, and style of this underseater cabin luggage set, Aerolite offers a 2-year warranty replacement for any unavoidable defects or malfunctions that may occur. 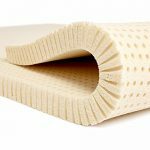 We also provide a full refund to unsatisfied customers within 30 days of purchase. We are confident that you not only won't be returning it - you'll be buying more of these under seat travel bags.